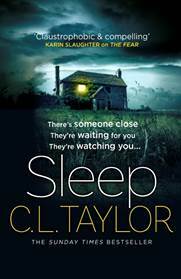 A first-class psychological thriller from the lady who never disappoints – Sleep by C. L. Taylor. Each of the guests have a secret, but one of them is lying – about who they are and why they’re on the island. There’s a murderer staying in the Bay View Hotel… and they’ve set their sights on Anna. 7 guests. 7 secrets. 1 killer. Do you dare to sleep? There are a few authors who I know continuously churn out solid books which I’ll just continue to buy and they will not disappoint, and Taylor is one of them. You are immediately thrown into a tense situation, and the book stays on that high throughout. I found myself continuously looking back to the first chapter to try and work out what was going to happen next. Now, I’m not someone who sleeps much, but after the message portrayed in this book, I’m downing coffees left, right and centre. Sleep is definitely unpredictable (although if, like me, you guess every character, you’ll hit jackpot at some point), and when pieces start to click together, it’s like ‘wow, what?’. I really enjoyed the story behind why, especially when it’s something that is rarely mentioned in thrillers. The best thing about Sleep for me is the characters. They all had their own secrets and were damaged in their own way, and that really came across well. Because of this, you’re constantly changing your opinion on the ‘whodunit’, and it felt like I was in the middle of an Agatha Christie book. There were a few things left unanswered, but they’re minor, and the last chapter made up for that. A really good psychological thriller, and I can’t wait to see what else Taylor comes out with, because I know it won’t disappoint. Looking for more books like this? Try The Fear by C. L. Taylor. 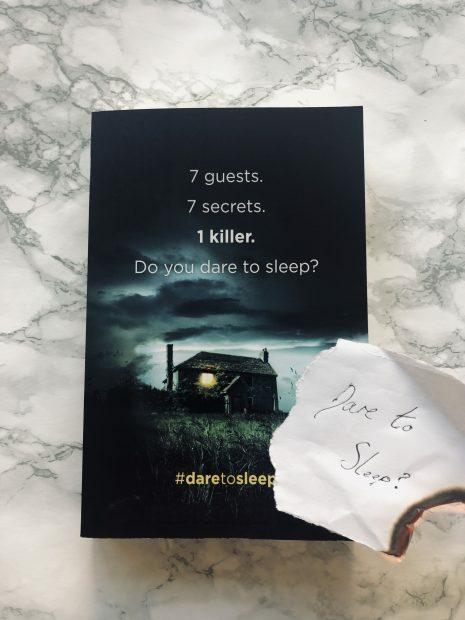 The pictured book is a proof, so scroll down to see the finished copy of Sleep which is available now.